All 18 LOFT promo codes have been verified and tested today! If you have a LOFT account, you can add items to your wish list, and save them for later. Whether you’re not sure about a certain item, or you’re wondering if its price is going to drop, this is a useful tool. To save an item for later, simply click “ADD TO WISHLIST” when browsing any items on LOFT. Then, you can click the “WISHLIST” icon in the upper-right of the screen to view all of your saved items. Don’t wait too long to order, though. Items added to your wish list are not saved or reserved for you, so they could sell out if you don’t buy them soon. Don’t want to pay shipping for your order? You don’t have to. Any order of more than $125 is eligible for free standard shipping from LOFT. You don’t even need a LOFT promo code. Just add $125 merchandise or more to your cart, and make sure to select standard shipping when checking out. If you’re a teacher, you can get a discount of up to 15% off full-priced LOFT merchandise with a valid ID. You’ll also get special offers like exclusive sweepstakes, seasonal style guides, and teacher appreciation nights. Just show your ID at any LOFT store to have your discount applied – no coupon required! As you can see, finding the right LOFT coupon code is a fantastic way to save. So see if you can find some similar deals, and stretch your dollar further when shopping for designer clothing at LOFT. Interested in getting more discounts at LOFT? You can get a “mystery” Loft promo code just for signing up for the company’s email newsletter. You could get a huge discount, free shipping, or another offer just for signing up. Here’s what you’ll need to do. Simply go to loft.com, then scroll all the way down the page until you see the text field that says “SIGN UP FOR EMAIL UPDATES.” Enter your email and confirm it, then press “JOIN”. Then, finish your profile by entering your personal details, and setting your preferences for emails. Once you’re done, just click “Save.” Your email promotional offer and LOFT discount code should be sent to your inbox in just a few minutes. While the coupon or promotion may vary, it’s always a good way to save money on the latest styles. Found a great LOFT coupon code you’d like to use? Here’s what you’ll need to do to redeem it, and save big. Using your LOFT coupon is easy. Just follow these steps, and start getting discounts on sweatshirts, dresses, blouses and more. If you’re unsatisfied with an item you get from LOFT, or would like to return it for any other reason, it’s easy to do so both in-person and online. 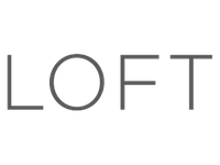 LOFT accepts returns of all unworn, unwashed, or defective merchandise, within 30 days of your order. Your return must be accompanied by a receipt to be refunded to your original payment method. Otherwise, it will be issued as a merchandise credit. To return an item in-store, simply bring it in, accompanied by the receipt, to any LOFT store near you. For an online return, simply log into your LOFT account or enter your order number, and follow the return instructions. $7.95 will be deducted from your return amount for shipping and handling. If you make a purchase at LOFT, and the item you’re looking at goes on sale for a lower price within 7 days, you are eligible for a one-time price adjustment. You must have purchased your merchandise at full price, and coupons will not be considered when making a price adjustment. For example, you cannot purchase $79.99 item, and then ask for a 30% off coupon to be applied. Price adjustments will only be made for items that were being sold for full price, and then had their price reduced during a sae. To ask for a price adjustment, simply head to a LOFT store near you, or call LOFT toll-free at 1-888-563-8444.